Marjory Harper delves into archives for tales of alien environments and unfulfilled expectations. Dislocation has been a recurring thread in the testimony of those whose quest for adventure or advancement in new locations has unravelled, when positive expectations of settlement have turned into negative nightmares of unsettlement. It is also a phenomenon that has been pathologised within a variety of psychiatric categories in hospital admission registers and case books. Some of the key issues are exemplified in the case of M., who was admitted to Gartnavel Royal Asylum in Glasgow in 1859. Aged 31, M’s previous occupations were listed as ‘seaman, gold-digger, merchant, and clerk’. He was declared to be ‘of unsound mind, and suffering under a severe attack of brain disorder’ which manifested itself in incoherence and delusions. He was also ‘very dangerous’. Eight months later, however, he was discharged, ‘recovered’, and left almost immediately for Australia, ‘with the intent of advancing himself in life, but without any settled plan’ (NRS, CS46, 1883). It was not his first experience overseas, as it was during an earlier sojourn in America that he had first received private psychiatric treatment, before returning to Glasgow to the care of his family and subsequently to hospital custody. Shortly after arriving in Melbourne in 1860, M. corresponded briefly with his brother, and the two arranged to meet. That rendezvous did not take place, and M. was never heard of again. M’s incomplete history demonstrates the difficulty of determining causation. Heredity possibly played a part, since three close relatives were detained in the Royal Edinburgh Asylum. Yet disappointed expectations are also relevant, for both his initial breakdown and his subsequent disappearance may have been provoked partly by his failure to strike it lucky in either the American or Australian goldfields. This illustration therefore highlights the central question of whether problems were attributable to an inherent restlessness that had spawned the decision to migrate in the first place, or were triggered by the traumatic repercussions of relocation.Such questions lie at the heart of an ongoing multidisciplinary evaluation of migrant alienation and rootlessness which seeks to integrate historical studies and psychiatric research with the scholarship of a variety of other specialisms. That objective was initially pursued through two symposia, held in Canada and Scotland. The second event has given rise to the imminent publication of a collection I have edited which explores migration and mental health in historical and contemporary contexts, and evaluates triggers and treatments through a variety of complementary disciplinary lenses. My own interest – which developed from a wider study of migration within the British Empire (Harper & Constantine, 2010) – is in the causes and consequences of insanity among 19th century immigrants in Canada. The reports of immigration officials in the host lands, and the gatekeeping policies they adopted, tended to emphasise the former, while the case notes of asylums incorporated pre-migration background factors within a much wider analysis of environment and experiences in the new country. Sub-themes to ponder in addressing causation include the relevance of gender, occupation and religion, as well as ethnicity. How did the proportions of different ethnicities in Canadian asylums relate to their presence in the population as a whole? Did the proportions of English, Welsh, Scottish and Irish patients reflect their distribution across the British Isles? How did perceptions of mental illness among migrants to Canada compare with diagnoses and aetiologies in other parts of the British world? (McCarthy & Coleborne, 2012). Migrant diaries, letters and memoirs are dotted with recollections of traumatic transitions from old to new worlds: the dilemmas of decision-making, the pain of parting, and the discomforts of the journey. In most cases the difficulties were short-lived or manageable, but institutional records occasionally indicate that they were catalysts for mental breakdown. Mrs C. from Edinburgh, who was admitted to the British Columbia Asylum for the Insane in 1890, fell ill, according to her case notes, because of ‘indisposition and the long trip from Scotland to BC’, during which she had taken opium and attempted suicide (PABC no. 371). Disappointed expectations feature particularly prominently in migrant testimony and asylum records alike. While these setbacks were often related to work, wages or living standards, they sometimes involved more inflated notions. Some of the most disillusioned migrants on earth in the 19th century must have been the restless prospectors who – like M. – crossed continents in a vain quest for gold. Many were attracted to the Cariboo in the 1860s or the Klondike stampede three decades later. Just over six per cent of the 1,110 patients admitted to the BC Provincial Asylum between 1872 and 1900 were described as ‘miners’ or ‘prospectors’, many of whom had delusions about being robbed of their claims. One Scottish miner claimed to have made over $40,000 from prospecting in the Cariboo, and a Welsh patient was described as a ‘monomaniac on the subject of gold’ (PABC, nos 525, 838). Disappointed expectations were exacerbated by the isolation and extreme climate of the Klondike, but environmental disillusionment was not the preserve of prospectors who moiled in the extractive industries of the BC frontier. 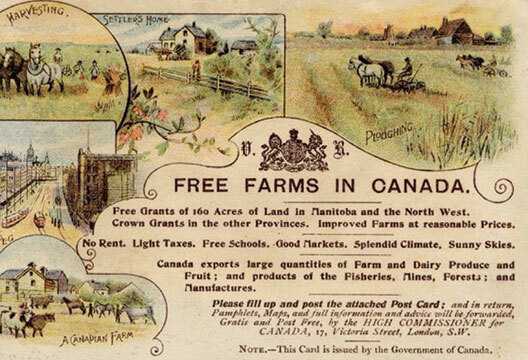 Many prairie settlers bewailed the featureless monotony of their surroundings, and when the Countess of Aberdeen visited the infant Hebridean settlement at Killarney in Manitoba in 1890, she was repelled by the ‘inexpressible dreariness of these everlasting prairies’ where ‘the struggle to live has swallowed up all the energy’ (unpublished journal, 1890). Across the border, the Norwegian novelist Ole Rølvaag charted the descent into insanity of a pioneer settler’s wife as the family’s wagon train moved westwards ‘beyond the outposts of civilization’ across the infinite, formless prairie which ‘had no heart that beat, no waves that sang, no soul that could be touched – or cared’ (Rølvaag, 1929, p.37). Meanwhile, on the other side of the world, ‘secluded life on a station’ was blamed for the illness of a Scottish shepherd who became a long-term patient at the Sunnyside Asylum in Christchurch, New Zealand in 1851 (ANZ Christchurch 1872-81). Of course, none of these factors operated unilaterally. Unfulfilled expectations, loneliness, and an alien environment could trigger or exacerbate homesickness, which, in extreme cases, could lead to mental illness. Although admission registers did not articulate the problem in those terms, it was clearly evident in correspondence, which highlights another theme and provides a bridge to the second part of the research agenda – for relatives, doctors and politicians did not speak with one voice about either the causes or the treatment of mental illness. Heredity was the main bone of contention, and was cited in over six per cent of admissions to the BC Asylum. Britain was accused of exporting migrants who were already of unsound mind, and doctors and policy-makers across the dominions collected evidence of previous hospitalisation or hereditary insanity. But some families hotly disputed such stigmatisation, as we see in the case of R., who was sent from the Klondike to the BC Provincial Hospital in 1900. A diagnosis of paranoia elicited an indignant letter from his father in Hertfordshire, who challenged the Medical Superintendent: ‘What were the circumstances that caused the authorities to charge him with insanity? … I may say for your guidance there has never been any insanity in our family … I am much inclined to judge he has been the victim of an outrage’ (PABC, no. 1052). In 1894 J., a nursemaid, was admitted to the same hospital, suffering – according to the accompanying medical certificates – from ‘religious mania’. She was upset about a recent schism in the Free Church of Scotland and maintained that ‘until one of her own people from her own country comes to talk to her in Gaelic to her nothing will be right’ (PABC no. 569). When K. was admitted to the same institution 13 years later, one of the medical certificates reported that he ‘talks and shrieks in Gaelic continuously. Will not answer any questions, nor talk in English, merely yells in Gaelic’ (PABC no. 2003). With these exceptions, the BC asylum records examined to date did not discuss patients’ maladies with reference to their ethnicity. This is notably different from documentation in New Zealand, where there was a very clear thread of ethnic stereotyping in both medical reports and official returns from the same era (McCarthy, 2010). The absence of ethnic labelling in the BC records is surprising, particularly in the eugenics-dominated decade before 1914, when Canadian commentators frequently asserted that weak-minded immigrants from Britain were polluting their society and draining their economy: an article in the University Monthly, for instance, asserted that a preponderance of ‘English defectives’ in the admission registers of Toronto’s asylums was a consequence of ‘the wholesale cleaning out of the slums of English cities’ (Clarke, 1907-8, pp. 273-8). The second part of the research agenda shifts the focus to policy-making and involves an exploration of the ways in which the Canadian authorities – federal and provincial – responded to the problem of insanity in the half-century after Confederation. Reports, investigative commissions and legislation reflect contemporary debates about care, custody and treatment, as well as policies and practices of denial, detention and removal. Deportation was the favoured sanction against all types of unacceptable immigrants, and Canada’s record in deporting them was allegedly ‘by far the worst in the entire British Commonwealth’ (Roberts 1988, p. ix). Immigrants deemed to be mentally or physically defective were always at the top of the list, and as well as investigating the emphasis on deportation of the ‘insane’ and ‘feeble-minded’ per se, we need to consider whether such definitions may sometimes have been deployed disingenuously, to justify decisions that were made on the grounds of immigrants’ political or social unacceptability. These questions are rendered particularly challenging, however, because of the destruction of a key source that would have allowed us to trace the experiences of specific migrants from hospitalisation to deportation. Some years ago Library and Archives Canada disposed of virtually all nominal deportation records that predated the 1940s. It is therefore impossible to conduct rigorous quantitative analysis or to correlate references to the deportation of patients found in provincial asylum case files with federal deportation orders for those same individuals. Any scrutiny of responses, however, must also consider the attitudes of patients and families, who – as already hinted – often had a different perspective from the gatekeeping and fire-fighting priorities of administrators and doctors. Correspondence in case files can offer significant insights, and these sources, alongside a variety of official paper trails, provide us with sufficient evidence for a meaningful exploration of the causes and consequences of insanity among Canada’s immigrant population between Confederation and the First World War. - Marjory Harper is Chair in History at the University of Aberdeen. This piece is adapted from an article which originally appeared in Wellcome History. ‘I’ve spent much of my career studying aspects of emigration and diaspora in the 19th and 20th centuries. Source material tends to be slanted towards adventure and success, but that’s only one side of the coin. I have always been aware of a more negative dimension, demonstrated in the personal testimony or external observation of disappointed migrants who failed to adapt, integrate or assimilate. - Find much more on migration in our archive. Aberdeen, Countess of (7 October 1890), ‘The Journal of Lady Aberdeen’ (unpublished), Library and Archives Canada, MG 27, C-1352 1L 1B5. Clarke, K. C. (1907-8), ‘The defective and insane immigrant’, University Monthly, 8, 273-8. Harper, M. (ed.) (2016, forthcoming), Migration and Mental Health: Past and Present, London: Palgrave Macmillan. Harper, M. and Constantine, S. (2010), Migration and Empire, Oxford: Oxford University Press. McCarthy, A. H. (2010), ‘A difficult voyage’, History Scotland, 10: 4, 26-31. McCarthy, A. H. and Coleborne, C. (eds) (2012), Migration, Ethnicity and Mental Health: International Perspectives, 1840-2010, New York and London: Routledge. National Records of Scotland (6 March 1883), CS46/1883/12/87, Court of Session, First Division, Petition presented under the Presumption of Life Limitation (Scotland) Act 1881. Provincial Archives of British Columbia (1872-1900), GR-2880, boxes 2, 3, 4, 6, 8, 20, nos 371, 525, 569, 8378, 1052, 2003. Archives New Zealand (1872-81), Sunnyside Lunatic Asylum, Christchurch, CAUY 3212 CH388/2, Admission Register Book, no. 7. Roberts, B. (1988), Whence They Came. Deportation from Canada 1900-1935, foreword by Irving Abella, Ottawa: University of Ottawa Press. Rølvaag, Ole (1929), Giants in the Earth. A Saga of the Prairie, translated from the Norwegian by Lincoln Colcord and the author, New York and London: Harper & Brothers.